UPDATE: The winner for this competition is Michael Hill. The strings have been sent out. Thanks to everyone for entering! Welcome to our new competition feature. Each month we will be running competitions with prizes ranging from effects pedals, guitar slides, straps, personalized picks, band promotion and much more. 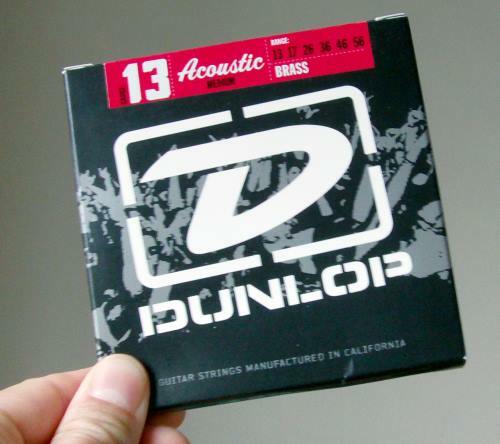 In this first instalment of our competition feature, up for grabs is a set of Dunlop acoustic medium gauge strings. To enter, it’s simple, just like our Facebook page. That`s it. Just like the page here and you`ll be automatically placed in the hat for the draw on September 1st. These Dunlop strings are good quality guitar strings and with this particular set being a medium gauge, they’re particularly suitable for down tuning your acoustic a semi tone or two. If you want to play some of your favourite acoustic rock stuff such as Nirvana’s `Unplugged in New York`, Alice in Chains `Sap` EP or a rendition of Pink Floyd’s `Wish You Were Here`, then these strings are perfect for you. Even if you play in standard tuning, they’re great, as they`re not overly heavy, but the slightly thicker gauge will give you a fuller tone. Potentially there will be bigger and even more exciting prizes from guitars, amplifiers, boutique effects, to free recordings, mastering deals, band promotion and much, much more. That just depends on what sort of sponsorship we can get. I’m in talks with a couple of guitar shops and manufacturers at the moment and hopefully for next month’s competition we will have something very cool lined up for a prize, so watch this space. By liking our Facebook page, you’ll be notified of the upcoming competitions but you may not see them, so of course, the best way to keep posted is to sign up to the mailing list (for free) where you will receive an email about once every two or three weeks, and get the competition updates direct to your inbox as well as tips, tricks, tutorials, techniques and other cool stuff helping you on the road to mastering guitar. If you are a product or store owner/manager and you want to sponsor a competition, you can get in touch here. If one to one tuition is what you`re after, click here. The closing date for this competition is on the 31st August. For a 2nd entry or if you don’t have a Facebook account, simply comment on any of our blog posts, letting us know what you think of the blog, or anything you’d like to see in a future post. So, please enter, share the love and help spread the word.